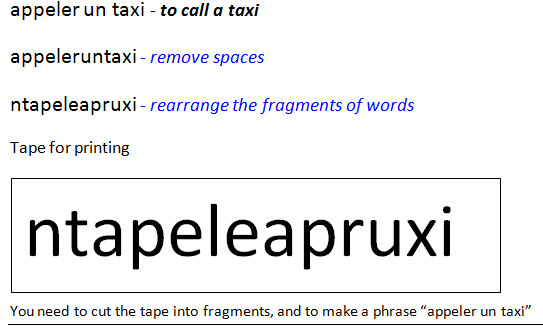 For learning phrases in French (for example) use a special paper tape. 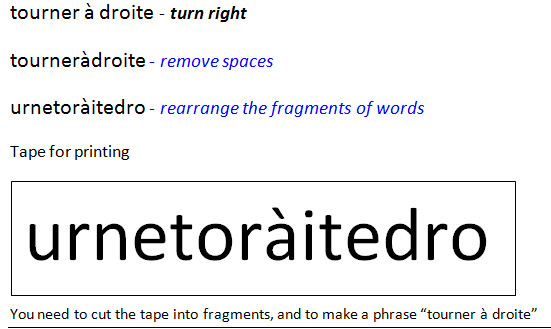 From the French phrase removed the spaces and it rearranged fragments. Students can memorize 500 foreign words in a week or more. This is a very effective method of remembering. You can download, print and learn.